Hyundai Aslan PDF Workshop, Service and Repair manuals, Wiring Diagrams, Parts Catalogue, Fault codes free download!! Sedan Hyundai Aslan debuted in the Korean market in 2014, for export this car was never delivered. This is a business-class sedan 4.97 meters long, created on the front-drive platform of the Grandeur model. Compared with him, “Hyundai Aslan” was positioned as a more expensive and prestigious car. The car was equipped with atmospheric petrol engines V6 with direct injection: three-liter capacity of 270-274 liters. from. or 3,3-liter capacity of 290-294 liters. from. First on the sedan put a six-speed automatic transmission, and after the modernization of 2016 – eight-speed. In Korea, Hyundai Aslan prices started at 40 million won (about 37 thousand dollars). The competitors of the model were, for example, sedans Chevrolet Impala, Kia K7 or Renault-Samsung SM7. 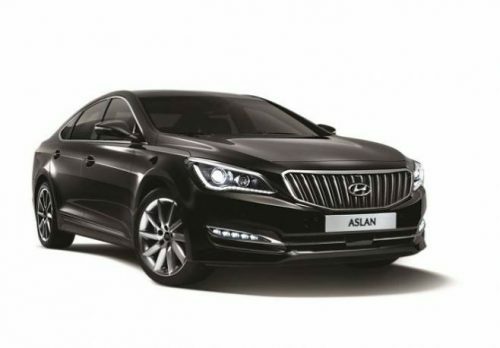 Demand for the model was not high, and in early 2018 the production and sales of Aslan ceased.